What message does the video aim to deliver? Who is behind making the video? What do you think they hope to achieve? As a team you need to plan and script a TV report on Fair Trade. Work with the rest of your group to read the material you have been given and to plan what the report should include. Take a role in the report itself. You will need to plan and work as a team and co-operate to divide the work between you. Use the resources enclosed here as well as the textbook and the websites. Your news story should be about 5-6 minutes long. ​What does the news story need to include? What are the problems with “traditional trade”? Why does it not help people to improve their lives? ​What is fair trade? How is it different from regular trade? What is good about it? How has it grown? Why? 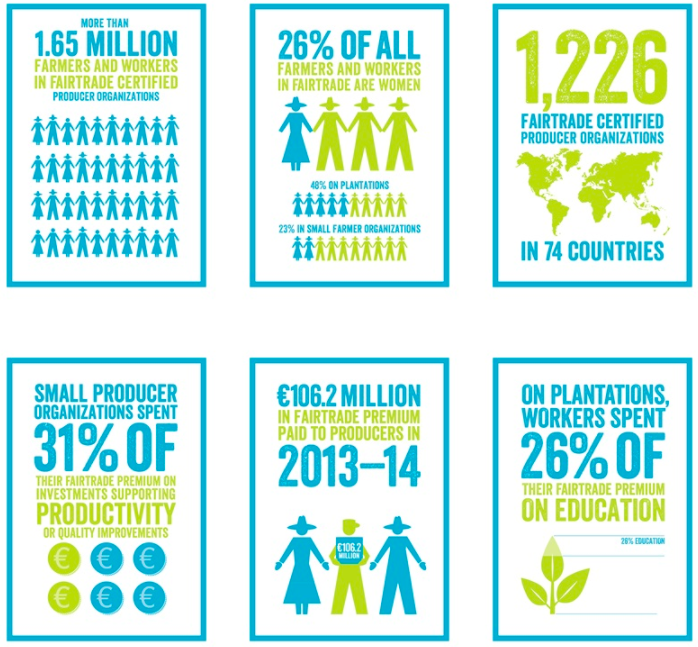 How has fair trade improved people’s lives? Examples? What are the limitations of Fair Trade? Expert on World Trade (who can explain what the problem is with World Trade) – this person will need to learn all they can about the problems with trade for people in LEDCs. They then need to work with the anchor person to decide on their script/interview. You will also need to know about the limitations of fair trade. Representative of the Fair Trade Federation to explain what is meant by Fair Trade and how it works. This person will need to learn all that they can about what Fair Trade means and need to be able to explain how it works, what it aims to do and how it can improve the lives of people in LEDCs then plan your script/interview with the anchorperson. Farmer who has been affected by Fair Trade who can explain how it has improved their lives. This person will need to be able to explain what their lives were like before and after they became involved in Fair Trade. You will need to be able to describe your life but it’s also really important that you work to come across as a real person who people will relate to. Reporter on location to interview the farmer. This person will set the scene before the interview with the farmer by explaining where they are, what is being grown and what changes Fairtrade has brought to the area. You’ll need to use the information about the farmer and also will need to know how Fair Trade affects lives. A. 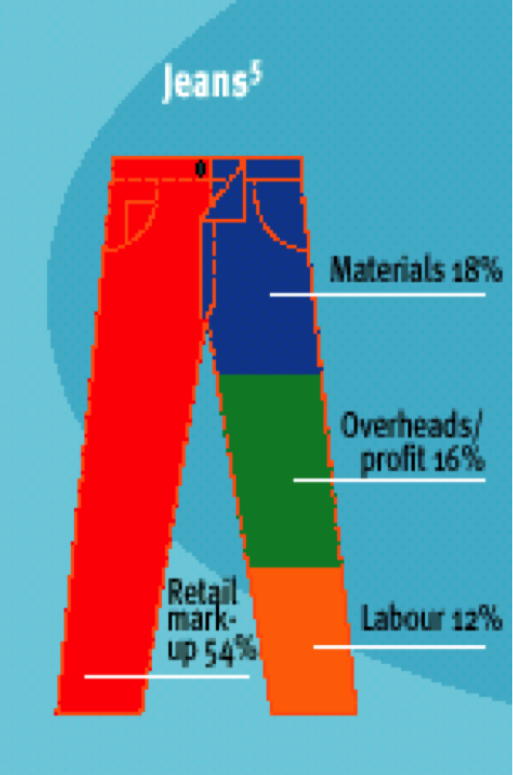 How does Fair Trade work and how does it help? Fair trade aims to work differently from traditional trade by putting people and the environment at the centre of what they do. 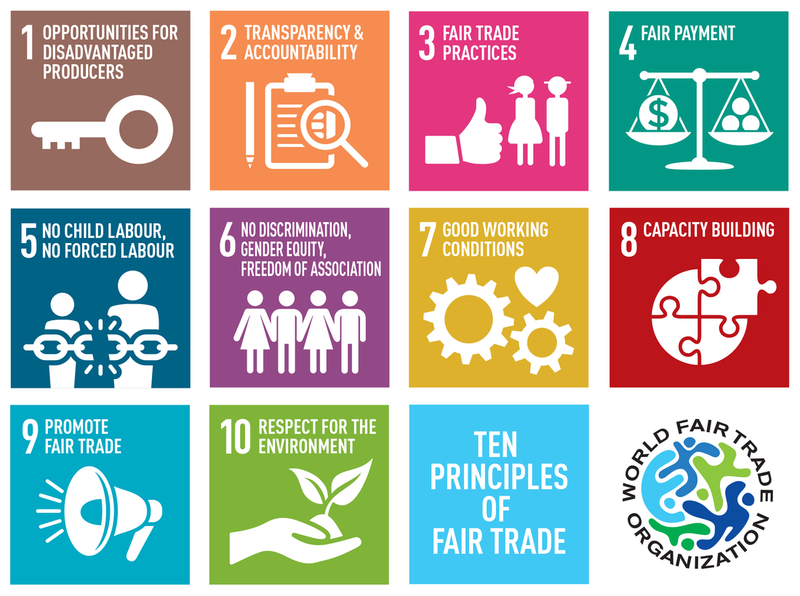 Key aspects of how Fair Trade works to improve life for workers, build communities and protect the environment are shown in the diagram on the left. Watch the videos and check the links below to add more detail/depth to your understanding. 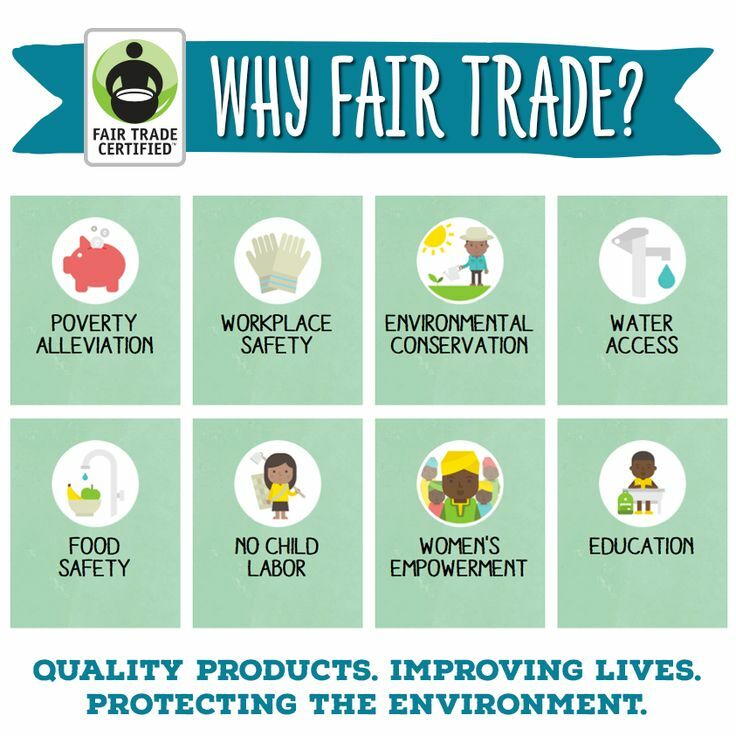 This list gives a good summary of some of the benefits of being involved in fair trade for people and communities in LEDCs. B. What are the problems with traditional trade? 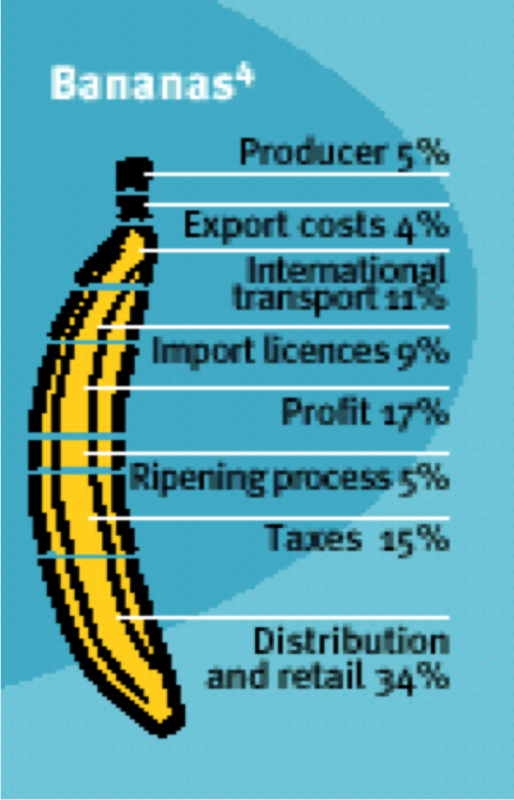 The four graphics below show who benefits from profits from bananas, chocolate, jeans and instant coffee under traditional trade. 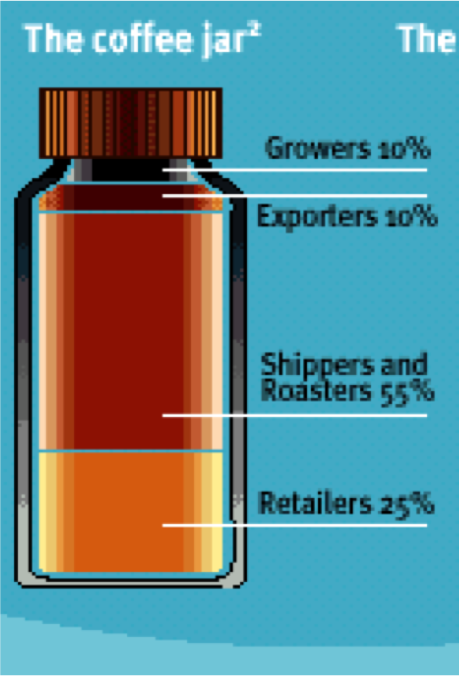 Look carefully at how much the producers/farmers/workers/growers receive compared to "big business". What ethical questions does this raise and why? What are the limitations and criticisms of fair trade?